The OnePlus One was launched in India back in December last year, so come this June, it will be the sixth month anniversary of the device in the country. 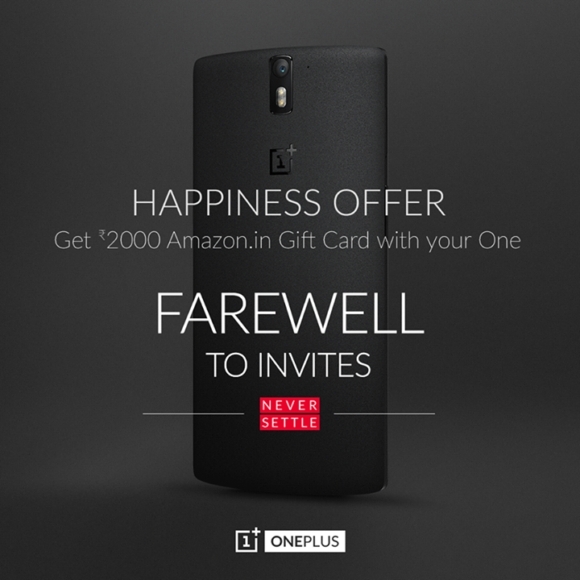 To celebrate the event, the company is offering a free Amazon gift card worth INR 2,000 ($32) with every purchase of the One. What's worth mentioning is that the offer is for limited period only, valid till May 31. As for the gift card, you can use it to purchase anything on Amazon, except e-books and apps. If you aren't in the know, the One is available in 64GB Sandstone Black and 16GB Silk White models, which are priced at INR 21,998 ($346) and INR 18,998 ($299) on Amazon, respectively.